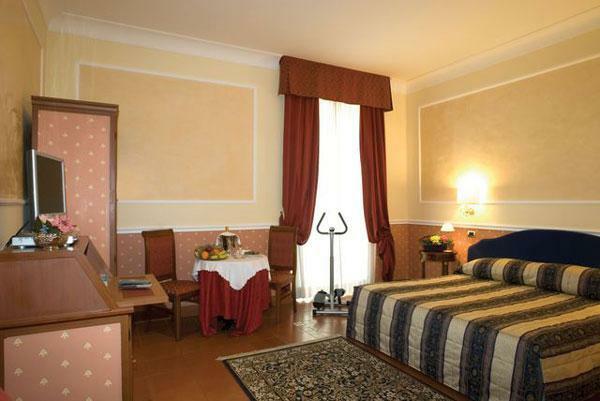 The 39 rooms at the Antico Palazzo Rospigliosi are comfortable, spacious, well decorated, light and soundproofed. 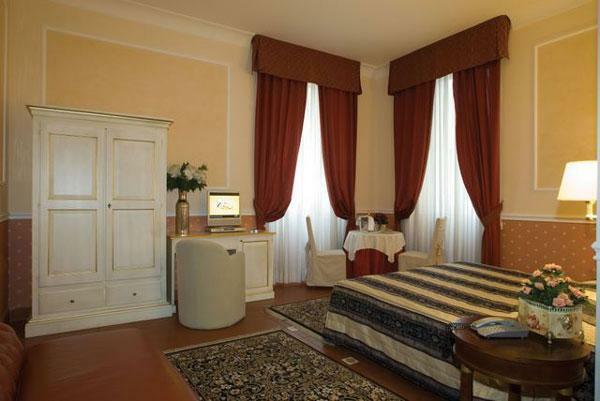 Each room has a private bathroom, satellite TV, air-conditioning, direct dial telephoned, mini bar, and safe. Many rooms have lovely courtyard views and other onto the inside garden area. 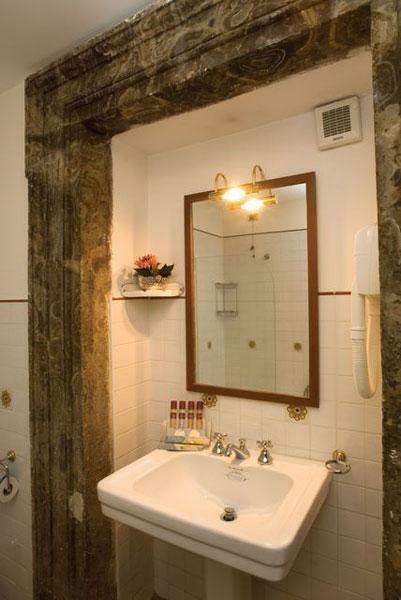 All of the accommodations and their bathrooms are decorated in Renaissance style as the palace.